PC Lenses: 4-FQ Motorcycle goggles with high transparency, it resistances to scratch, anti-collision, anti-UV. Sponge Frame:This dirt bike goggles contains high consistency cotton which has great exhaust ventilation for a comfortably wearing. Silicone Strap: Adjustable non-slip and high elastic strap of this motocross goggles can be adapted to any size of head. Application: Used for outdoor activities, such as cycling, climbing, riding and other activities. 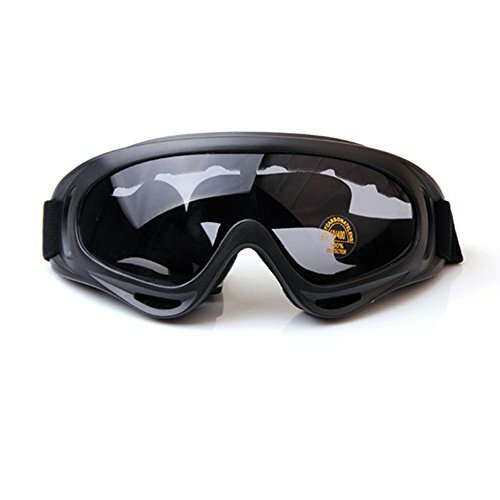 Protection:Perfect goggles which fits closely to your face around your eyes to protect you from water, wind, or dust. Dirt bike googles Windproof and rustproof.